My company offered a great incentive recently. Answer a few questions, go through a health screening, get your blood pressure, cholesterol, and your glucose checked. At the end of it all, they put a few extra bucks into my flexible spending account, which I can use to pay for things my medical plan doesn’t cover (like the co-pay on test strips). So I went for my scheduled screening about 20 minutes after my lunch. I informed the screener that I was Type 1 so he wouldn’t have a cow when he checked my BG. He went through all of the tests, including the glucose check (with a One Touch meter). So I’m thinking, “Hey, I’m at 160 only 20 minutes after lunch? Brilliant!”. And that’s when the screener said: “Sir, of course you know this because you’re type 1, but you should always maintain a blood sugar below 140”. Me: “But I just finished eating a little over twenty minutes ago”. 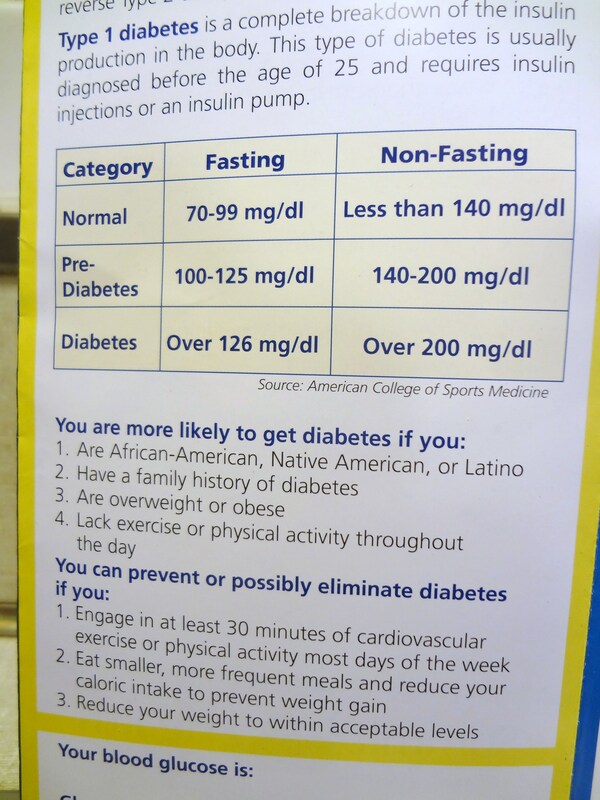 Screener: “Yes, but FDA guidelines suggest that you should keep your blood glucose at 140 or lower constantly”. Me: “Okay, first of all, I’m pretty sure that’s incorrect, and second, I just ate… wait a minute… you just came back before I sat down right?”. Me: “Did you just eat?”. Me: “Go ahead and test yourself. I’ll bet you’re at 160 or higher right now”. I stopped him right there. I don’t usually like to interrupt people, but I had to do it right then. I stopped him mid-sentence, and said “My point is this: Everyone, every situation is different. When you paint everyone with a broad brush like that, you’re going to scare the crap out of some people who may not have diabetes, and you’re going to make some people with diabetes feel bad”. Maybe I overreacted. He was just doing his job. Just repeating what he’s told to repeat. They are just words, after all. I was just thinking that I don’t want the next person who sits down after lunch to worry unnecessarily, or feel bad about themselves. Hey, it’s just words, right? And maybe I’m a little over-sensitive to these kind of things now. But last time I checked, there wasn’t anything I could do to prevent my diabetes. Or anyone else’s Type 1. And eliminating my diabetes? Sorry for the cliche, but that’s a little like reversing pregnancy. I know it’s just words, but I did get the e-mail address from the vendor doing the screening, and I sent an e-mail telling them that they should rethink the way they’ve worded their little handout. Again, it could make people feel bad. People who develop diabetes, or have already developed diabetes, could think that they’ve failed somehow. When really, they didn’t have anything to do with it. Hey, it’s just words. But words can hurt. Or they can heal. Your choice. 100 Blog Posts! Meh… Big Deal. I mean, who cares, really? Compared to all of the advertising copy I wrote many years ago, and compared to the pages and pages of technical documentation I’ve churned out over the last 16 years, one hundred blog posts is nothing. Compared to other D-bloggers, the heroes I read every day, who have written thousands of posts and who are way better than I am, one hundred is nothing. Spoiler alert: I need to get some thoughts out of my head here. I won’t think less of you if you don’t read any further. To be honest (with both the reader and myself), I have to look at the big picture here. When I started writing this blog, I had the fever: I was stoked about everything DOC-related. I probably went a little overboard. Or a lot. Lately, I’m not enthused about every last thing I read, every experience I see depicted in writing, photos, podcasts, and video. Sometimes, I’m less than enthused. What does that mean from a big picture point of view? It means that neither extreme is the norm. I suspect I’ll move a little more toward the center of the spectrum again soon. How about the writing? There have been some good posts, and some not so good. Strangely, some of the things I’ve written that were well thought out, carefully worded, about timely subjects, were among my least viewed posts. Some other things (recipes, for example) have generated more views, likes, and comments than they probably deserved (three likes for fish tacos?). Maybe I should change this to a cooking blog. Maybe. But that’s not where my passion is right now. Big picture? I need to be thoughtful and measured, and always try to improve. 1. Don’t expect to be read. Don’t expect to get comments. I’m doing this to keep a written record of my life, not to be a web star. Stay humble. Rinse. Repeat. How am I doing? No problem. I’ve gotten what seem to me like a lot of views, but not very many comments (note: I wrote this before yesterday, where I got the most comments I’ve ever gotten in a single day. Thanks!). 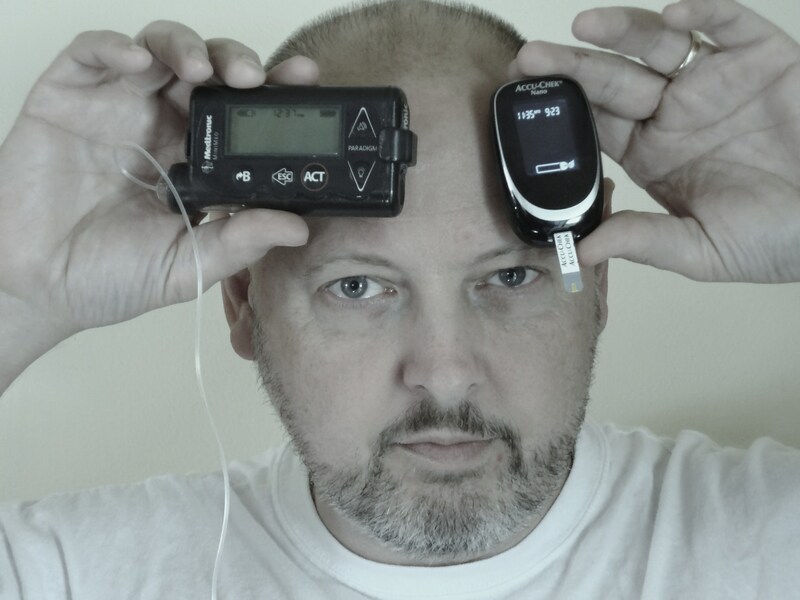 I enjoy keeping a written record of my life with diabetes, and I think about that often when writing. 2. Where I can, be an advocate for others. Not a necessity as a blogger, but I need to remember that it’s not always about me. And there are always people who need help more than I do. Gotta admit… I’m kinda jazzed up about this. 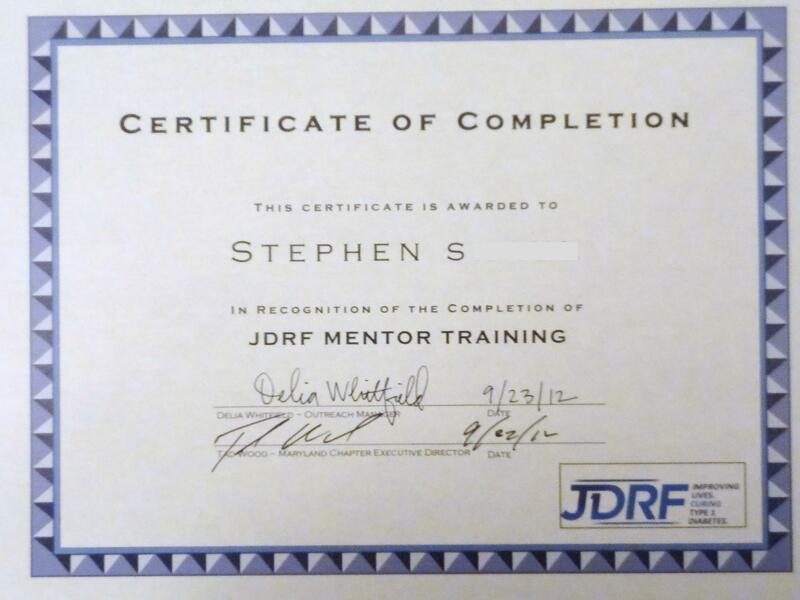 I may not get to mentor someone for a while yet (unless you count the time I spent on the phone Sunday night with my sister-in-law… newly diagnosed with Type 2). But I’m glad that I’m at least on the road toward doing something positive. How am I doing? I had forgotten how much I like to write. To be honest, there were 14 Like These Links posts, so you could say that this is only my 86th post. But who’s counting? Anyway, I’m definitely enjoying the process, whatever it is. Or however it’s counted. There’s still more story to be told, I think. I’m still finding my voice. It must be around here somewhere. Maybe the next hundred posts should be focused on that. I received an incentive from my prescription plan this weekend. Go ahead and read it… I’ll still be here, humming America the Beautiful. So nice of the Medco/Express Scripts conglomeration to make this offer to me (by the way, I ordered another Accu-Chek Nano and received it last week– great timing). I’m sure they’re getting incentives of their own from Roche, makers of the Accu-Chek, and Johnson & Johnson, makers of the One Touch. That’s the way business works. 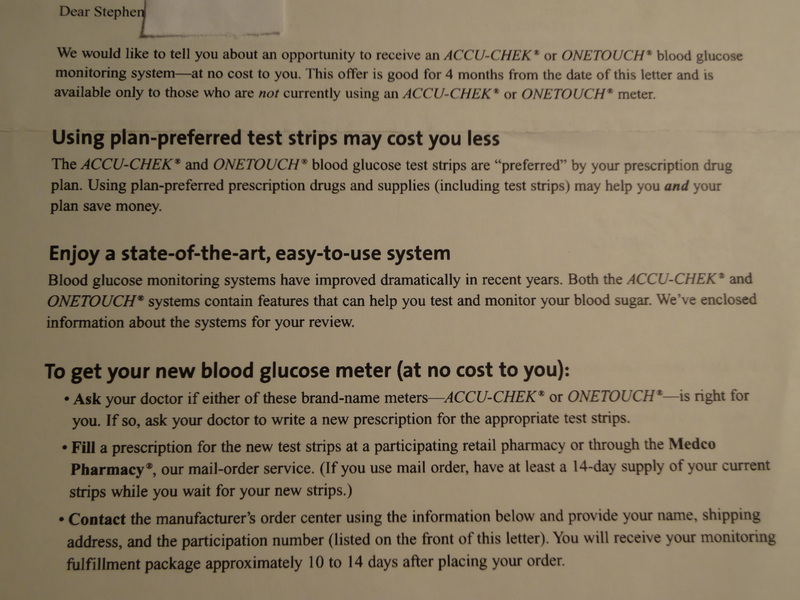 Maybe I’m overly sensitive these days (it’s possible), but I can’t help thinking about the millions out there to whom a free meter and lower-cost test strips might mean the difference between life and… well, you know. Some of those millions are right here in the United States. Others are living in third world squalor, where every day is a struggle for survival in so many ways. Why are they less deserving than I am? For additional fun reading (NOT), click on the Drug Donation Policy link on this page. I don’t want to be too critical of these companies. It’s always hard to say “Yes, we will give to this, but not to that”. Someone is going to be unhappy. As far as I can tell, both of these companies have resources dedicated to giving in a smart and measurable way to those who need help. I guess all I’m saying is that if I have to pay 20 or 30 or 50 dollars to get my meter, and a portion of that money can then be used help get meters and test strips, or insulin and syringes, or whatever else to people who desperately need it, what’s wrong with that? And before you say “If you feel that way, why don’t you just donate the money directly”, I’m already doing that. I’m talking about doing something on top of that. Speaking just for myself: If I have the choice between meter A with an offer like that above, or meter B that comes with a cost, but part of that cost is dedicated to helping others in need, I’m probably going to go with meter B. I’ll even seek out that meter in the vetting process because of the giving. But I’m funny that way. I’m just wondering… would you make a choice like that? Do you wonder about fairness too? Diabetes Art Day. Picture of a Pancreas. September 24, 2012 is Diabetes Art Day. For 21 years, my internal pancreas has been inoperable. So I have to use the external resources I have at my disposal to, in effect, become my pancreas for me. Today, that means using my pump, my meter, and my brain. Hence the idea for this photo.